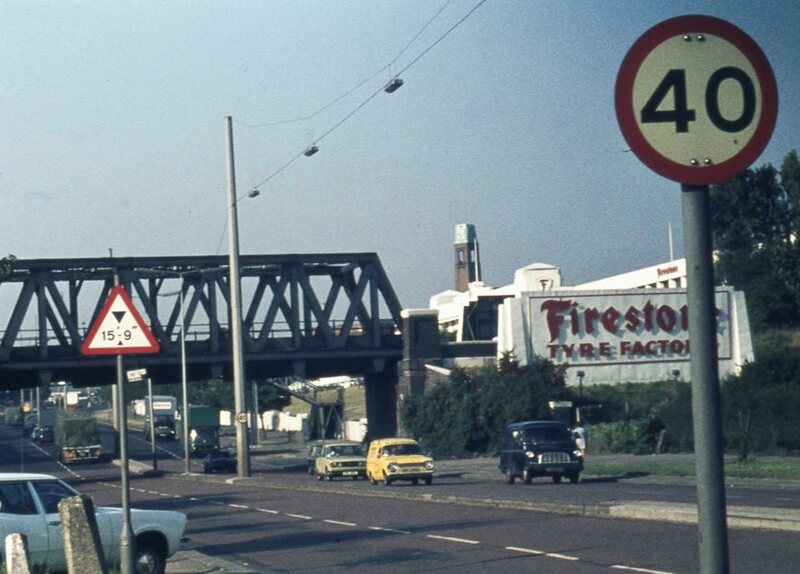 Peter Young took this photo of the Iron Bridge on the 9th September 1973, looking westwards along the Great West Road or A4. I think the bridge carried the Brentford branch of the Great Western Railway running down to Brentford Dock. Peter has taken several photos of the Firestone Factory to the right, so we will not dwell on that here. The clock tower in the background is part of the Gillette factory - again Peter has some super photos which merit a separate page.